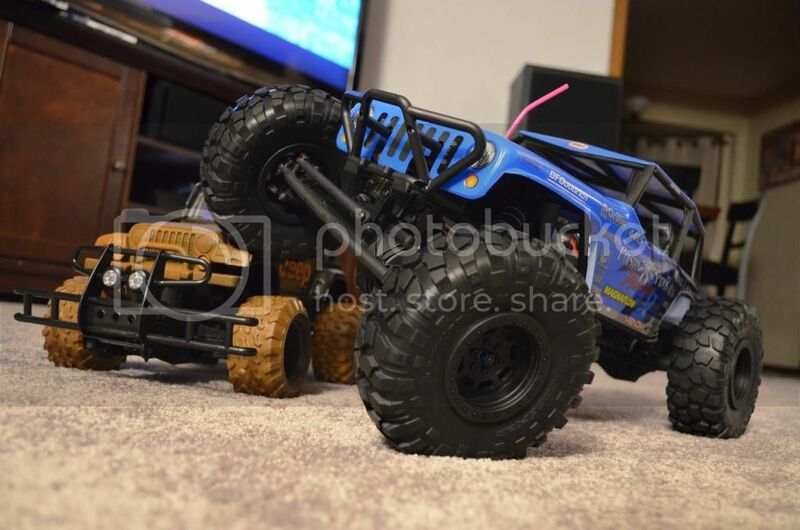 Convinced the wiff today that I needed a new RC car. I've always done gas in the past but I'll be damned if I ever get another gas RC car again. The constant tuning and trying to start it for 30 minutes before it will barely limp along has really gotten me out of RC cars. So I went full electric! Got a Wraith today and I couldn't be happier with the results. Faster than I expected from all the videos I watched online and now I want moar parts! I think I'll keep it mostly stock but get some different wheels with softer tires and the aluminum suspension parts. Mine came with some guns and a gun rack but I don't know where to put them. If (when) you need parts, check out www.thetoyz.com, he's my neighbor. I keep thinking about getting another, but haven't pulled the trigger yet. I was looking at the Yeti. Thanks for the link! Forgot I want to upgrade the steering servo as well, so I'll try to buy through him. The giant Yeti looks like a lot of fun but this is also a beginner for my 8 year old daughter so I didn't want to put TOO much into it just yet. I figured a crawler would take more skill and be more entertaining than a street car just doing circles in the cul-de-sac. We wanted the SCX10 (actually went to go buy it) and when we got to the hobby shop, we saw the Wraith. 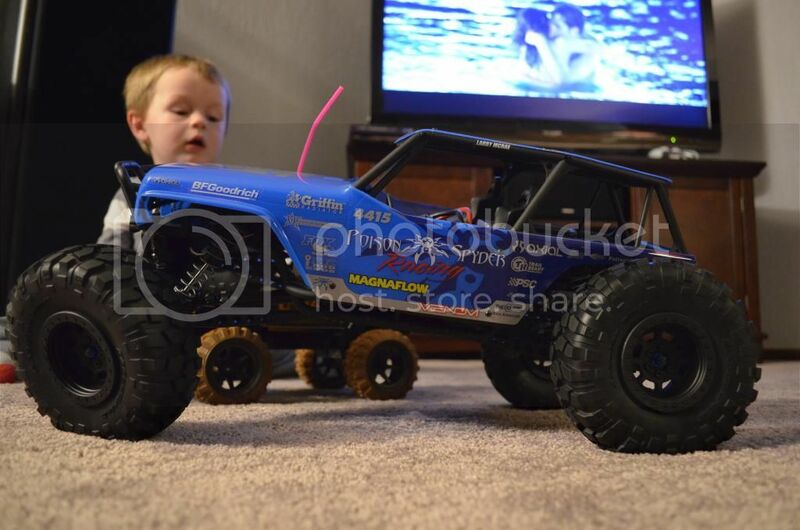 Larger wheels, more powerful motor, etc... Decided to go that route... Plus, Barbie wouldn't fit in an SCX10! Hot racing has decent stuff.. I'll get them from TheToyz. The best upgraded parts I have found for the wraith is the Vanquish product line. You pay for the quality but you will only need to pay once. There parts are damn near bullet proof and always fit perfectly. Here is a pic of my wraith.